Mom & Dad want to stay in their home? After the Holidays we get lots of calls for the below topic. We want to reintroduce one of our popular blogs from the last couple of years. Enjoy. Do you want to stay in your home? That's the big question that we deal with at All-Star Medical when dealing with customers who aren't sure they can stay in there own home. Below we will note a few ideas along with ballpark prices to help you be able to make a better decision on "can I stay at home". 1. Are you able to get around and access the important parts of your home? Can you easily get in the bathroom, the kitchen, the bedroom, and to your vehicle? These are the main places you need to be able to access in order to stay in your home. You must be able to get to your kitchen for food & water, you must be able to get to the bathroom for obvious reasons and the bedroom and vehicle are not always a must but you need to have a place to sleep ( some people sleep in a recliner chair due to positioning issues). If you are having difficulty getting one or more of these places then continue to read on. Do you have a bedroom or garage on a different level than the main part of the house? Are you having difficultly going up and down stairs? When you could do this! Did you know that a stair lift is less than ONE MONTH of an Assisted Living Facility Cost! 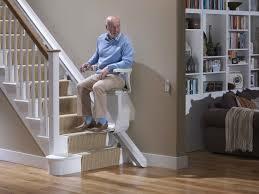 You can have a straight stair lift under 16 foot installed in your home for under $3,000.00. That's a one time fee, not a monthly fee.All-Star Medical offers a free in home evaluation on stair lifts. We install these stair lifts in stairs going to the garage or upstairs to the bedroom and we even have outdoor stairlifts also. Last but not least is the dreaded bathroom! This is where a large amount of falls occur due to the fact of slick surfaces and water, not a good combination especially when you add in the sharp corners on the counter tops. Lets start with the commode. How many of you need assistance getting up or even assistance cleaning yourself? All Star Medical carries a large variety of commode safety frames and toilet seat risers. You would be surprised at how much a set of rails can change your perception on going to the bathroom. Lets not forget about the bathtub or walk in shower. When is the last time you were able to lower yourself down into the bathtub and have no worry of weather or not you could get back out? In comes the bathtub lifts! These items lower you all the way down in the tub and then raise you back up to the normal tub level. These items range from $489-$699 and are a great alternative to a walk in tub and a lot cheaper. You also have many different styles of shower chairs and transfer benches to make it easier to shower. They also make many different types of grab bars from suction grab bars to no drill grab bars for those fiber glass tubs and other places that regular grab bars don't work. How do I get inside my home? I'm in a mobility scooter or power wheelchair and I have steps at every entry point into my house. All-Star Medical can help with that as well. We offer portable and modular ramps along with vertical platform lifts. 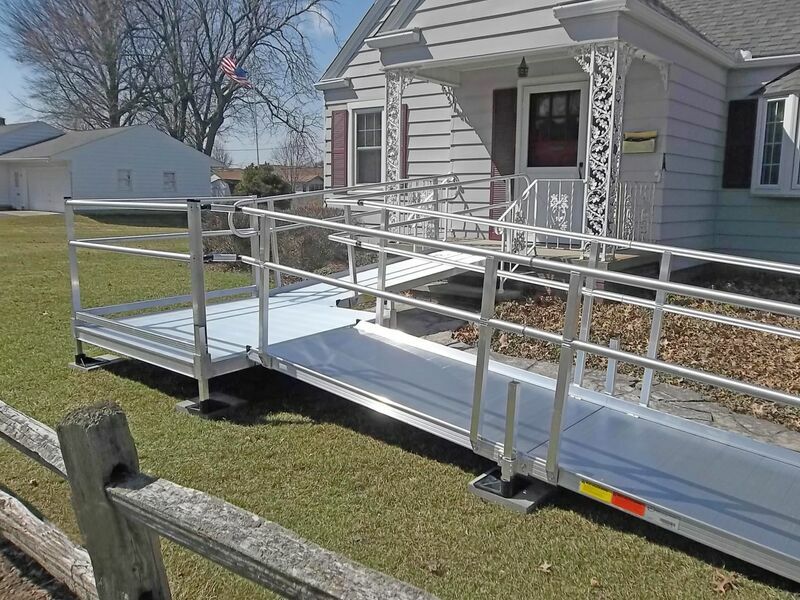 Portable wheelchair ramps can be anything from a small threshold for a main door frame to a folding ramp that can be used in multiple parts of the home or even your vehicle.Modular ramps work great when you are dealing with tall steps. You can get them with platforms so you can make turns from your driveway or sidewalks. Vertical Platform lifts work really well when you have tight spaces and a modular ramp might not be suitable for you. The ramps range from $120 and go upwards of $5000.00 depending on how long of a modular ramp you need. 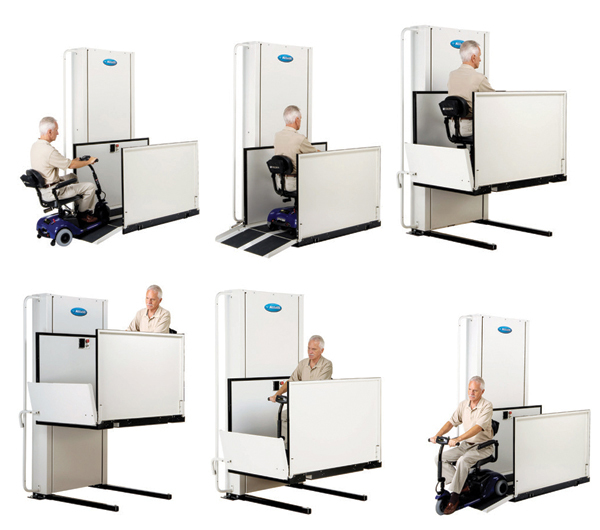 Vertical Platform lifts range from $9500.00-$14,000. We offer free home estimates so don't hesitate to call us just to ask questions. a lot of times we can give you a good ballpark figure over the phone. We also have a vertical platform lift and a modular ramp on display in our Hermitage Tennessee location so you can see up close and personal how they work and if this is the right product for you or a loved one. Hopefully this can help you or a loved one make a decision on whether or not they can stay at home a little longer.If you have any questions feel free to call us at 615-730-9438 or 615-567-6116. We have 2 locations in the Nashville TN area where you can come and see a lot of these items. Our largest location is in Hermitage TN on Central Pike and we also have a great location in Franklin TN off of Cool Springs Blvd.